Since launching in 2002, Wayfair has become the largest online-only retailer for home furniture in the US. We’re proud to say they’re a part of the InVision community. 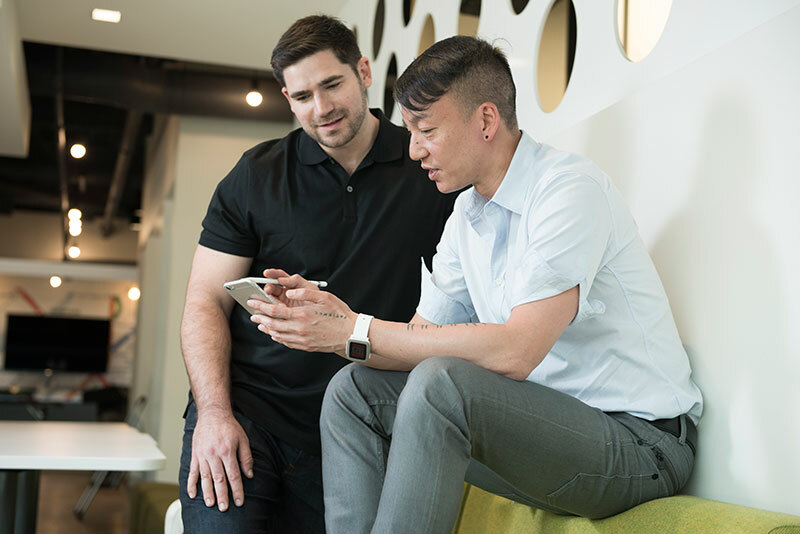 We sat down with Justin Henry, Art Director, and Ch’ien Chan, Creative Experience Director, to discuss customer advocacy, cross-team collaboration, and why designers should understand business. 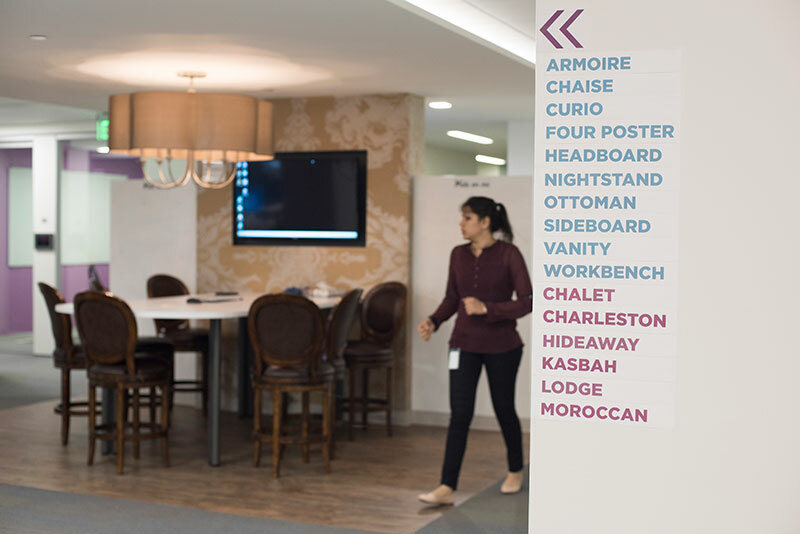 How is the design team set up at Wayfair? 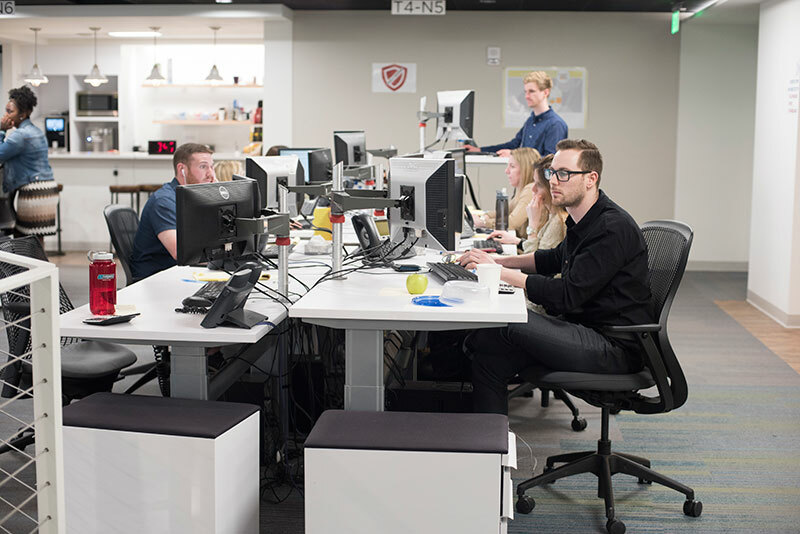 Justin: We have 11 specialized teams we call “pods.” This setup allows individuals to become specialists across key categories relating to the business—and it helps projects move quickly. Ch’ien: We set the team up this way after we recognized a funnel progression for our users—each pod represents a touch point. For example, when someone comes back to look for a red chair, they’ll go to our super browse page, which is specific to the find pod. Another example: Our frequency pod is where someone comes back again and again to visit our idea boards, featured products, or our daily promotions. We’re growing so fast that we have the luxury of really specializing. We believe that if designers, UX designers, and developers can focus on one aspect of that funnel progression, projects go a lot quicker. How do designers on the team report and collaborate? Ch’ien: It’s really about integrating all of the players who create that creative experience. So copywriters, UX designers, and visual designers constantly collaborate. They’re always involved in a kickoff from the product team, and each pod has an art director or design manager who helps steer the ship. 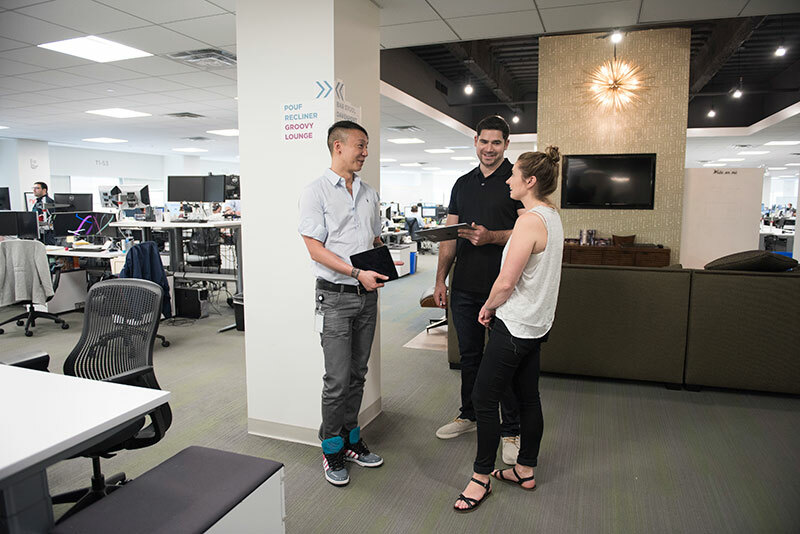 Recently, we’ve implemented weekly creative reviews that include the entire team within the US offices as well as our teams in the UK and Germany. That’s really helped enhance collaboration and communication. 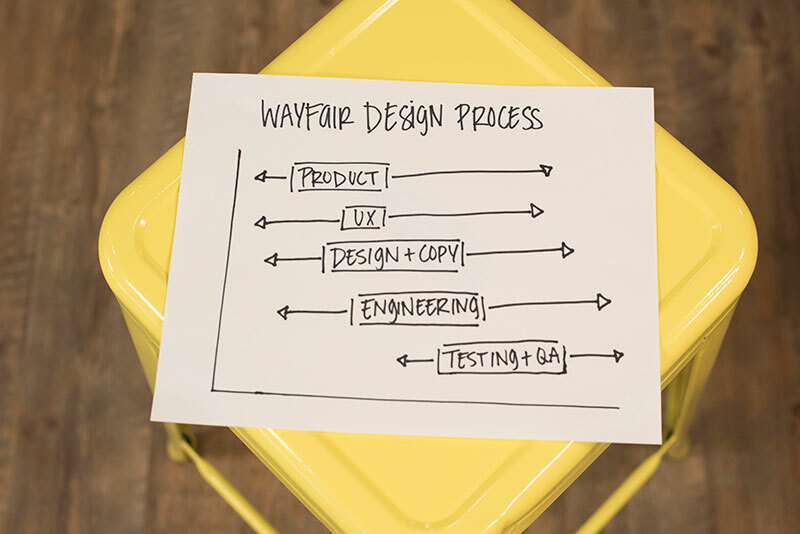 What is the design culture like at Wayfair? Justin: Nurturing, fun, collaborative, quirky, fast-paced, and educational. We hold free workshops on topics like how to be more efficient in Photoshop, best practices in mobile design, and what makes an iconic brand. We try to teach design thinking to members from other departments. Earlier today we sat down with the engineering team on the app side to talk about core principles from a design perspective, and we encouraged them to give feedback whenever possible. Ch’ien: Designers should always be learning. And just as important: Designers should share their knowledge. 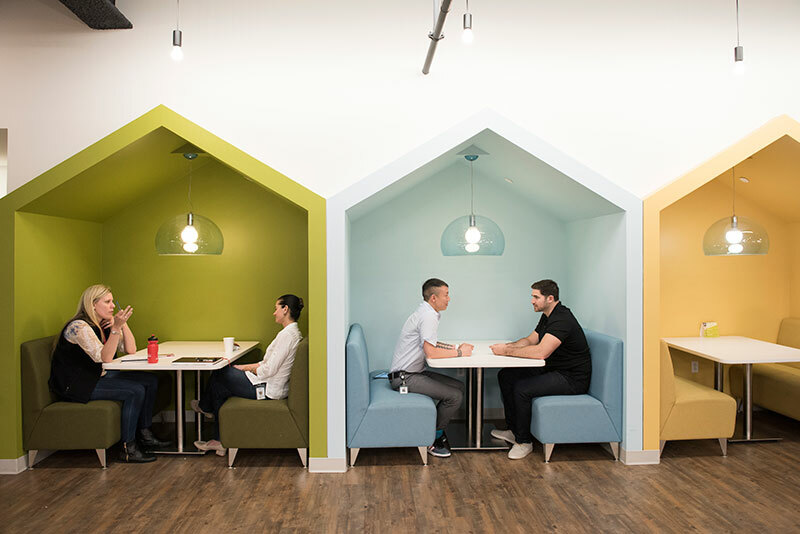 Justin: A great design culture harvests creativity and gets people motivated to come to work. Otherwise people just end up doing the same thing every day and things get stale. What do you think is the most powerful part of your design process? Ch’ien: How we collaborate. We have a chart that we live by here—it’s essentially a sliding bar graph that shows when product, UX, design and copy, engineering, and testing and QA come into play. They all overlap. Justin: We’ve also been utilizing joint application design and development (JADD) sessions to help improve cross-team collaboration. 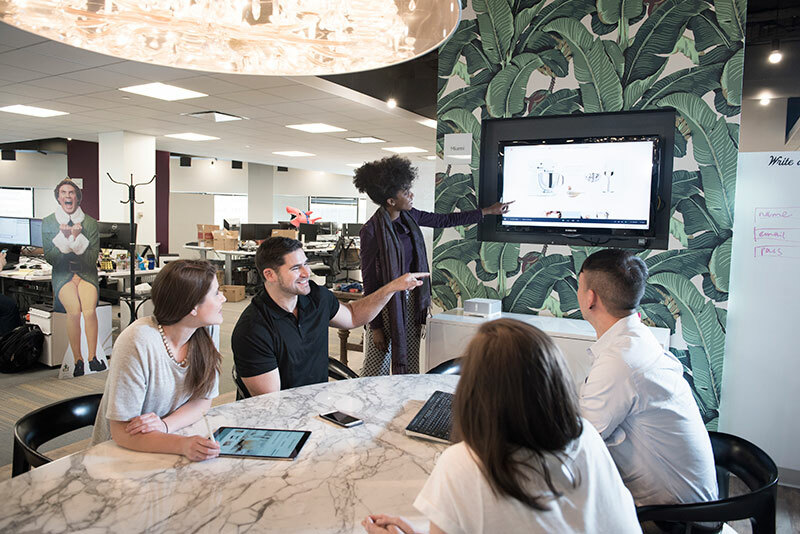 In those sessions, we get the product team, engineers, and creative experience team together to start the ideation process so that everyone’s part of the solution from the beginning. Ch’ien: We use JADD sessions when we’re pressed for time and need to work faster. How do you identify and prioritize feature requests from users and clients? Ch’ien: Historically, we’ve left that with the product owners—they set a road map of all of the upcoming features that their product should inherit. But recently we’ve had a surge in our UX hires, and our intent is to have the UX designers focus on being consumer advocates. 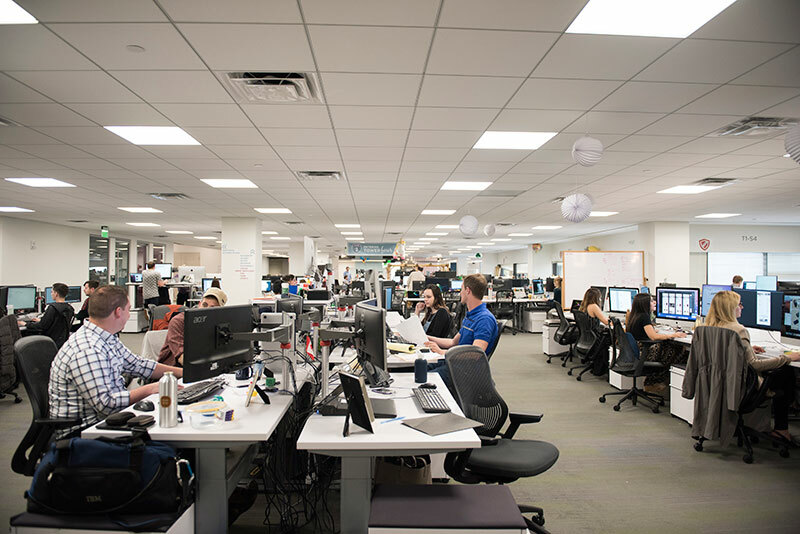 How do you make design decisions internally? Ch’ien: We value everyone’s feedback, but at the same time, the responsibility gets placed on the people working on the projects. They’ll hear a lot of feedback, and it’s up to them, depending on their maturity level in the professional world, to filter the feedback that makes sense. I’m very forgiving about releasing things, because I know we can make changes if we need to—the web is so temporary. So we have some wiggle room. What type of metrics do you watch when you make design changes? 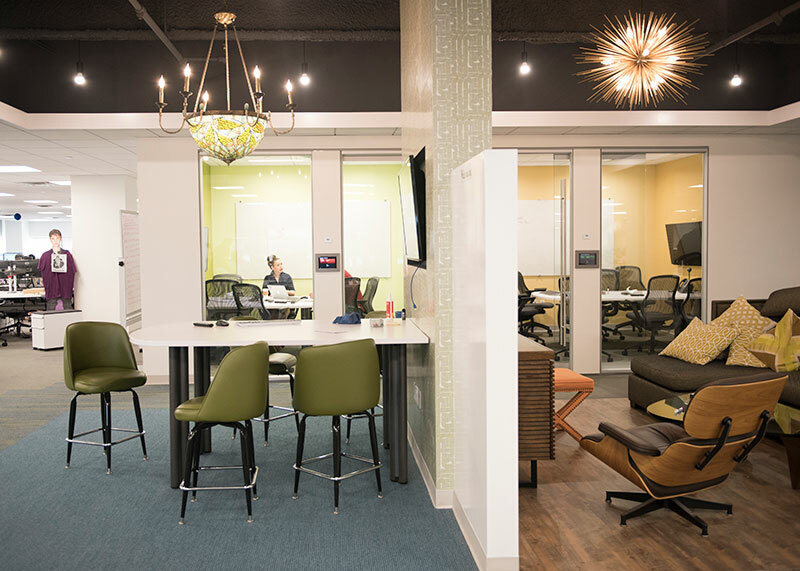 Wayfair is a data-driven company and we’re also forward-looking, focusing on long-term goals, not just short-term wins that won’t necessarily move the needle in the long run. That means looking at the site experience and then making smart decisions around it. How do you use InVision? Justin: We use InVision for all of our mobile app and desktop-related projects. 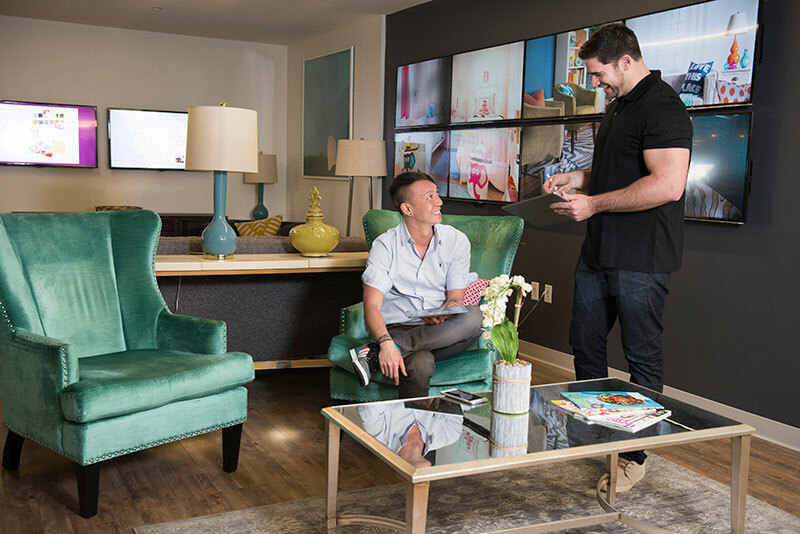 I first found out about InVision at my previous startup, and when I brought it to Wayfair, it completely changed our world and how we interact with each other here. InVision allows us to easily get feedback and clearly see where exactly something needs to be changed or improved. Maybe the coolest thing about InVision, though, is that you can text a project to someone so they can view the whole experience on their phone. If you took InVision away from me, it’d be like cutting off my right arm. It’d be so much harder to do my job every day. Do you have a formal review process? Ch’ien: We do internal reviews to make sure that everyone on the team is on the same page, especially before we present to clients. And then what we present to our clients is basically open season to get feedback from stakeholders. With stakeholders, we stress the importance of articulating feedback that’s multiplicative, not prescriptive. We want to give them 2 rounds max of revisions, and we ask that they look at the design in such a way that they can tell whether we’ve answered or addressed the business objectives or the business obstacles. Outside of InVision, what processes and tools do you use for collaboration? Justin: We use a homegrown ticketing system that’s basically a project tracker. Typically, projects start this way: The project manager opens a ticket, that ticket goes through the creative experience team, and we get assigned a copywriter and a designer. The work eventually moves into InVision, but up until that point, our ticketing system is how we collaborate. What’s your userbase like, and how have you seen it change? Justin: Our userbase is primarily made up of women who are between the ages of 35 and 65. Ch’ien: Wayfair used to be CSN Stores—there were about 236 transactional websites that each sold a different class category of home decor. 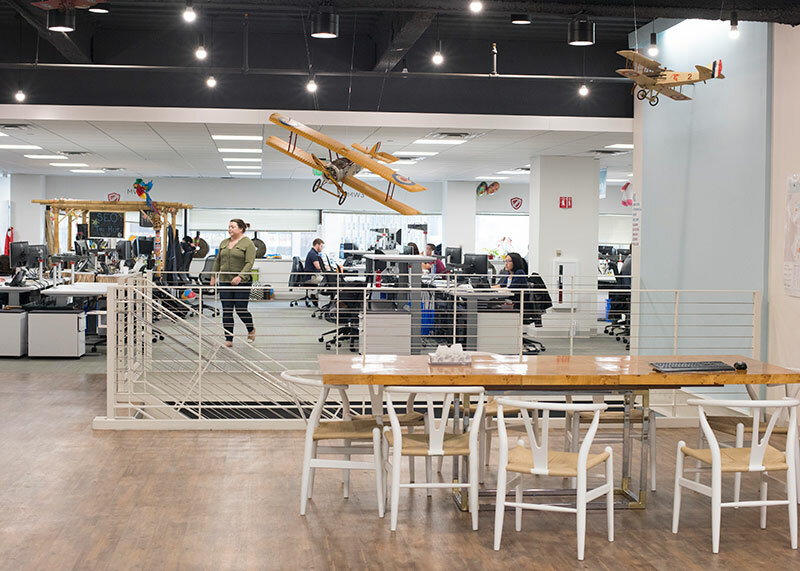 As a brand, Wayfair has become a much more inspirational and content-heavy site, and because of that we’ve seen a shift in who our users are. They’re not just coming here to buy something—they’re coming here to browse. How do you keep up with constantly changing web standards and opinions about what “good design” is? Ch’ien: We’re always looking at what other sites are doing, but we aren’t largely influenced by what others in our space are doing. Just because a big company is doing something a certain way, it doesn’t mean that’s the way to go. We do a lot of research and stay on top of analytics so we can make thoughtful, smart design decisions. One of our most important principles is that design is never done. We don’t ever want to become complacent. Great designers are always learning and working hard to improve. How did you choose Wayfair’s visual style? Justin: By being bright and fun, the logo depicts our strategy to target consumers from every demographic and way of life. It also represents 4 houses that can converge into a box. So that pinwheel shape is reminiscent of opening a box, which denotes excitement about receiving a delivery. Ch’ien: With our overall design, we want to showcase our brand personality. We want to be your friendly neighbor in sweatpants, sitting on your couch having coffee with you—someone you’re happy to have over. We’re not a place where you’re afraid to sit on the couch because you might mess it up. We’re approachable and comfortable, and we strive to display that across all the experiences. Justin: Be hungry, passionate, and ready for anything. Follow best practices, and soak up new information and skills everywhere you can. So many young designers just want to jump right into a high-level position, but that’s not how it works. Moving up the chain takes time, and you have to be open to feedback and put in hard work to get where you want to be. Do you think young designers should hone in on a specialty and go deep on that, or should they be a generalist first and specialize later? Ch’ien: I think they need to generalize first. Young designers need to show that they’re versatile. Justin: It’s important for designers to be generalists in the beginning. It’s their opportunity to figure out what they love to do and what they hate to do. It’s a great learning opportunity to figure out what else is out there—and it makes them more marketable later. What role do you think designers should play in developing business strategy? Ch’ien: Designers should be an integral part of business strategy because they can problem solve differently. When the designer understands the business strategy, the final product is better. At kickoff meetings, I encourage designers to ask the client what the business strategy is and what we’re trying to accomplish. What is success in a design project? Ch’ien: Success used to mean high conversions, but now we’re emphasizing customer advocacy. Design should be simple, delightful, and engaging. And a key measure of success during the design process: delivering mockups that need no explanation. Photos by Kim Indresano Photography.